A square-shaped probe, POLAR (Polarimetry of Gamma-ray Bursts), dubbed as “Little Bee” atop China’s second space lab, Tiangong-2, an experimental space lab launched by China with two astronauts, is currently orbiting the Earth searching for the strongest explosions in the universe, the state-run Xinhua news agency reported. “The 30-kgs device can be regarded as a telescope, but it is different from other telescopes, as it consists of 1,600 sensitive components to detect the polarisation of gamma-ray bursts. They are like the 1,600 facets in the compound eyes of bees. That’s why we call it ‘Little Bee’,” said Zhang Shuangnan, principal investigator on the POLAR project and a chief scientist at the High Energy Physics Institute of the Chinese Academy of Sciences. The device will help open a new window in the study of gamma-ray astronomy. 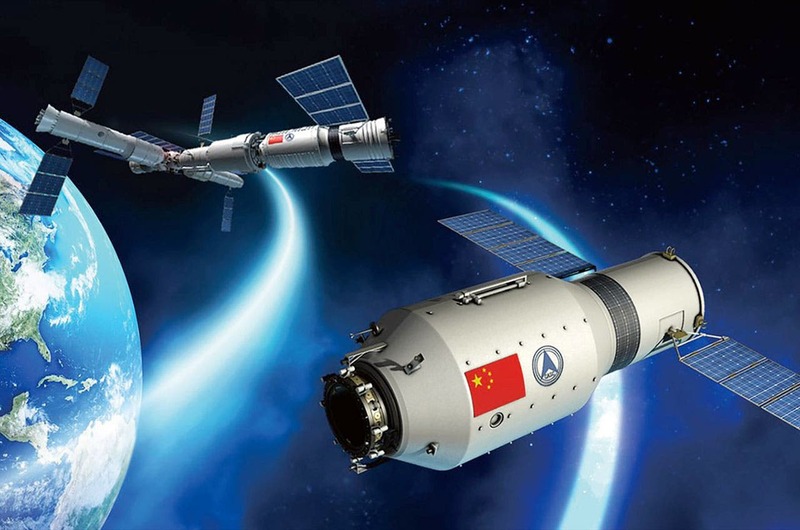 POLAR is the only international cooperation project on Tiangong-2, involving scientists from the University of Geneva, Paul Scherrer Institute in Switzerland and Poland’s Institute of Nuclear Physics, the report said. Gamma-ray bursts are explosions that can last from 10 milliseconds to several hours that have been observed in distant galaxies. They are the brightest electromagnetic events known to occur in the universe. The intense radiation of most observed gamma-ray bursts is believed to be released during a supernova or hypernova as a rapidly rotating, high-mass star collapses to form a neutron star, quark star or black hole. Another aim of “Little Bee” is to determine whether gamma-ray bursts are related to gravitational waves. “If we can detect gamma-ray bursts at the same time gravitational waves happen, it will help us better understand gravitational waves,” Zhang said.